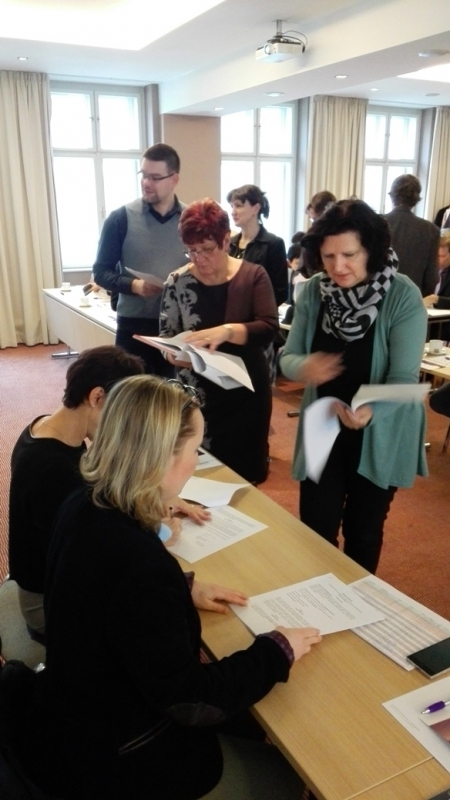 Ostrava, December 17, 2015 - For the second time this year, representatives of NGOs, primarily from the Moravian-Silesian Region, together with the management of the VÍTKOVICE STEEL Charity Fund (VSCF) gathered together to sign a deed of donation rising to the total amount of 2.5 million CZK. From a total of 150 applications submitted, and totalling more than 20 million CZK, the Board of Trustees of the charity fund selected a total of 30 projects that aim to support the Moravian-Silesian Region. 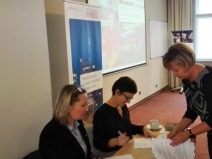 Traditionally, submitters also include employees of VÍTKOVICE STEEL, who presented 13 projects under the programme called "PEOPLE FROM THE STEEL HELP." Together with the projects from the first round of VSCF allocation plan, which took place in the first half of this year, a total of 4.5 million CZK was allocated from VSCF this year toward 38 projects to support handicapped children, care for the elderly, education and sports, etc. The projects supported by the VÍTKOVICE STEEL Charity Fund come from communities across the Moravian-Silesian Region and include both non-profit agencies and private individuals. The spectrum of assistance is based on the VSCF objectives and primarily concerns health care, sports, social needs, elderly care, science and research. "It makes me happy to be able to meet people who selflessly create meaningful projects to help others, and I am very proud that this year we again managed to raise money to support these projects," said Chairman of the Board of Trustees of the VÍTKOVICE STEEL Charity Fund, Dmitry Ščuka. 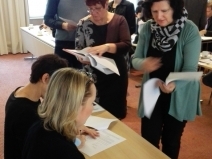 For the second time this year, the Advisory Committee of the VÍTKOVICE STEEL Charity Fund also gathered together in order to assess the projects submitted by the VÍTKOVICE STEEL employees under the PEOPLE FROM THE STEEL HELP programme. VSCF registered a total of 18 projects of VSCF to the desired amount of almost 900,000 CZK. The Advisory Committee was able to support the projects to the maximum amount of 500,000 CZK, plus 80,660 CZK, which employees raised through a run on a treadmill during the event Day for Employees in August of this year. Finally, the committee has selected a total of 13 projects and proportionally divided the entire amount. The employees of VÍTKOVICE STEEL have been able to apply for endowment contributions since 2011. In four years of the programme, the Advisory Committee has assessed several dozen projects. Fifty-eight projects received financial support to a total amount of two million Czech crowns. This year alone, the advisory committee recommended supporting a total of 23 projects worth more than one million Czech crowns. 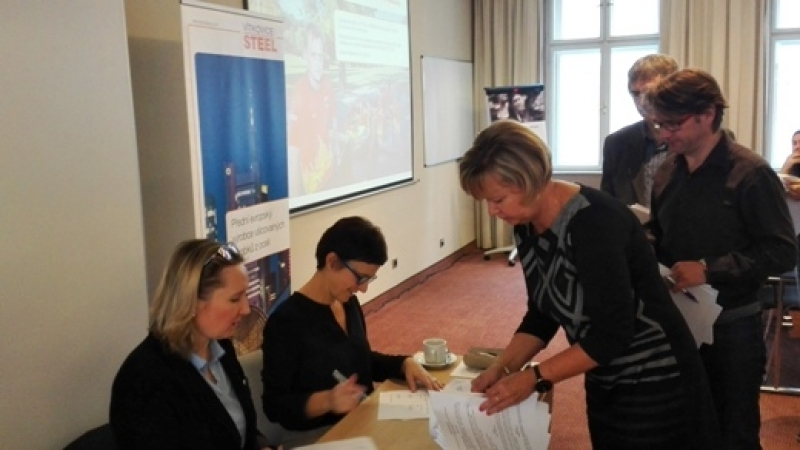 "Nowadays, it is not easy to find free time to help bolster our surroundings, and that makes our appreciation of our employees’ activities under the programme PEOPLE FROM STEEL HELP even more substantial," said Hana Hoblíková, a member of the Board of Trustees of the VÍTKOVICE STEEL Charity Fund. The area of funded employment projects includes projects supporting sports such as biathlon, football, chess, badminton, as well as projects promoting leisure time activities such as majorettes, folk songs and dances, libraries, plus the activities of volunteer firemen clubs, activities for the elderly and others.